YouTube owns the media world. The top streaming channels rack up more views than many television channels. From comedy to music, the biggest YouTubers are deeply integrated into pop culture. Gaming is one of the most successful facets of the streaming service. A small group of the top YouTube gamers has revived the Happy Wheels game series. YouTube gaming videos, which often yield millions of views, are jam-packed with action and entertaining commentary. The hottest genre of the past two years, .io games, have maintained top status—all thanks to YouTubers. Below is a curated list of YouTube games on Poki. Tube Clicker is the idle game for millennials and Generation Z. 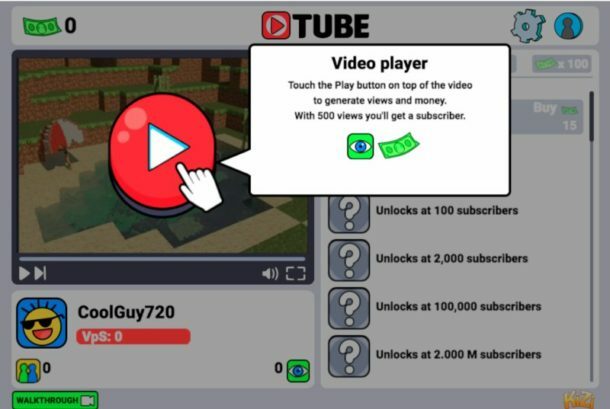 It tasks players with the goal of becoming the most famous YouTuber. To do that, future web celebrities must create entertaining videos. Upload epic content, and rack up views and subscribers. 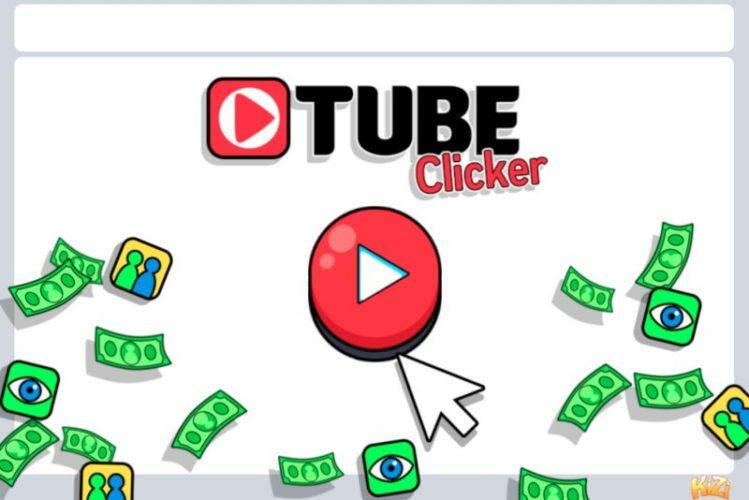 Like any addictive idle game, Tube Clicker has a currency and leveling system that requires constant vigilance. Buy an app for automatic views, and get more subscribers than PewDiePie. Trollface Quest: Trolltube brings the classic prank series into the YouTube realm. During this point-and-click adventure, gamers must solve ultra-hip mini-games. Trollface Quest: Trolltube opens with the Scary Maze Challenge, where players must figure out how to rapidly defeat a frightening demon. The rest of the game is packed with references to the internet zeitgeist, from Nyan Cat and Grumpy Cat to Miley Cyrus in her Wrecking Ball music video. YouTubers Piñata: Psycho Fan is a twisted game. Playing the role of a violent superfan, gamers must whack subscribers out of famous YouTubers. There are four celebrities, each of whose names have been slightly modified. For example, Spanish gamer Vegetta777 is Vegetatta_555, and Salvadoran superstar Fernanfloo is Fernanfury. YouTubers Piñata: Psycho Fan is packed with over-the-top cartoon violence, reflecting the style of today’s top internet comics. The Jackspeticeye Game 2 is a retro single-player adventure. The green-haired YouTuber woke up in a world inhabited by monsters. Explore Sean’s house, store items and tools in his bag, and team up with fellow YouTuber Markiplier. The Jacksepticeye Game 2 blends retro PC gaming action with today’s celebrities. Subscribers, fans, and unknowing player alike can enjoy the gameplay in this short, highly entertaining excursion. Let’s Play Simulator gives gamers the potential to become celebrities. There is one goal in this simple, carefully crafted adventure: gain one million subscribers. The action is based on real dilemmas that famous YouTubers face every day. Players must consider email proposals from gaming companies and developers. Pick the best games to review, and post videos to gain fame. Let’s Play Simulator provides captivating insight into the world of the top YouTubers. 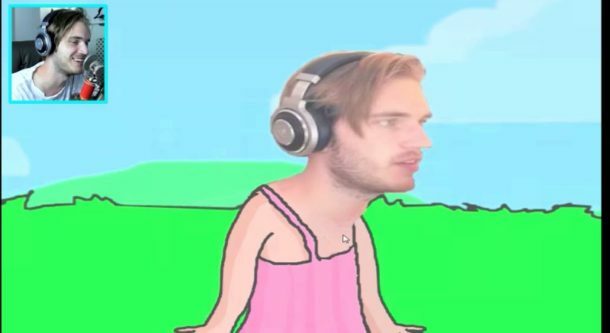 PewCatPie: The Unfair Game delivers maximum frustration. This silly side-scroller is packed with pranks. Playing as PewDiePie in a cat suit, gamers must traverse a series of deceitful obstacles. Certain in-game tips are truthful, while others are meant to cause death. PewCatPie: The Unfair Game ties in clever pranks with silly YouTube references. It’s also the most challenging game in the bunch. Try, if you dare; but beware—it’s unfair! Next articleHow Seriously Can We Take Bitcoin Gaming?